Small concrete pump is a hot product in our company. Because it is mobile and high efficient in construction sites. 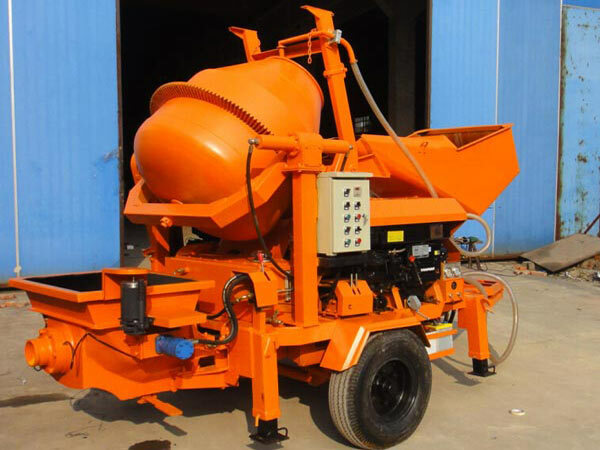 Although small concrete mixer and pump may have smaller capacity than other concrete pumps, it still act high efficiency and stable performance. In recent years, small concrete pumps have a large market. Because with the development of economy, the speed of construction industry is growing faster and faster. Small cement pump could play a significant role in many projects that have small scales, such as house building, municipal road fixing, crowd or narrow work sites. We AIMIX GROUP have taken great efforts in developing and researching advanced technology to respond demand of market. Small concrete pump we produced is of better quality and stronger competitive price than other small concrete pump suppliers all over the world. 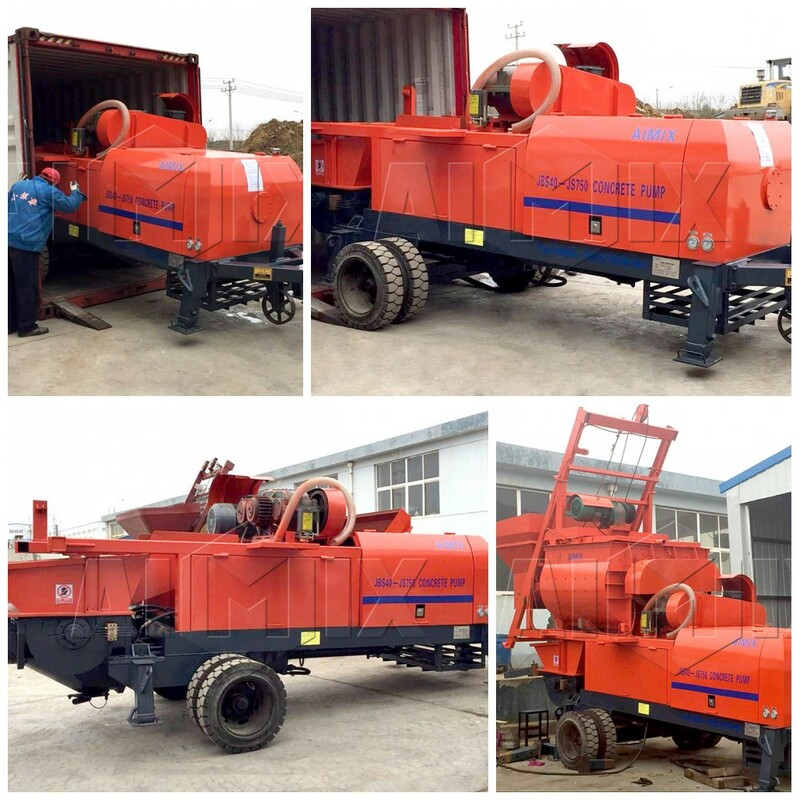 We have many successful cases that our small concrete pumps were exported to many countries, such as Russia, Sir Lanka, Australia, Indonesia, Ireland, South Africa, Germany and so on. At the same time, small concrete pumps from Aimix Group have got an excellent reputation at home and abroad. Our small concrete and pump have passed BV and ISO9001 international quality system certification. That is way so many clients choose our small concrete pumps for quality. If you desire to purchase small portable concrete pump to apply to your construction projects, what are you waiting for? We are best choice to help you accomplish your projects or expand your business. Small concrete pumps consist of many kinds of types. 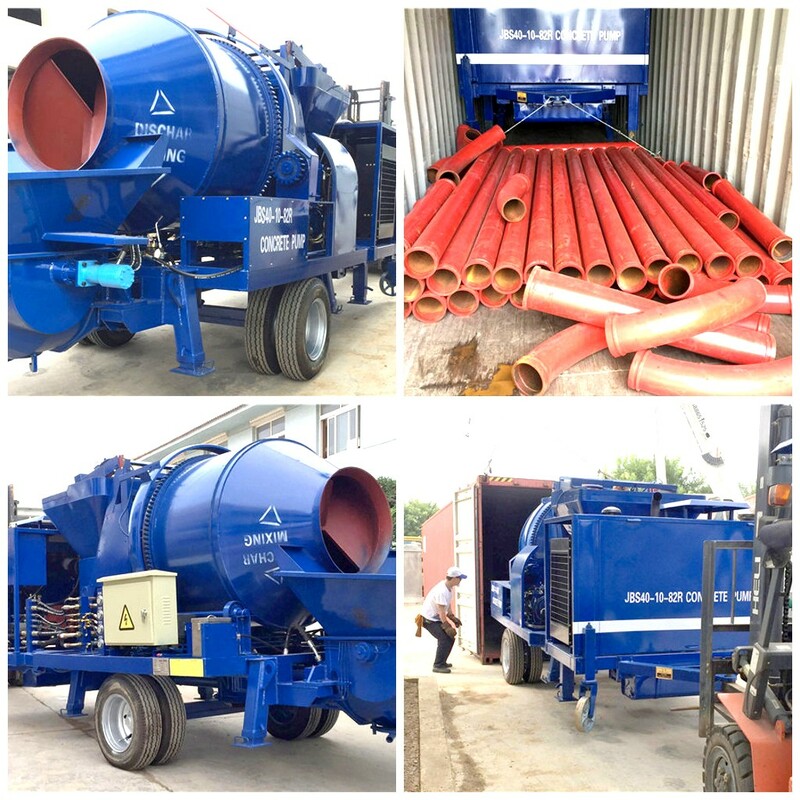 What deserves to mention is that small concrete pump with mixer is a very convenient equipment. Because it could act as a concrete pump to convey concrete as well as it has a mixer to mix concrete. 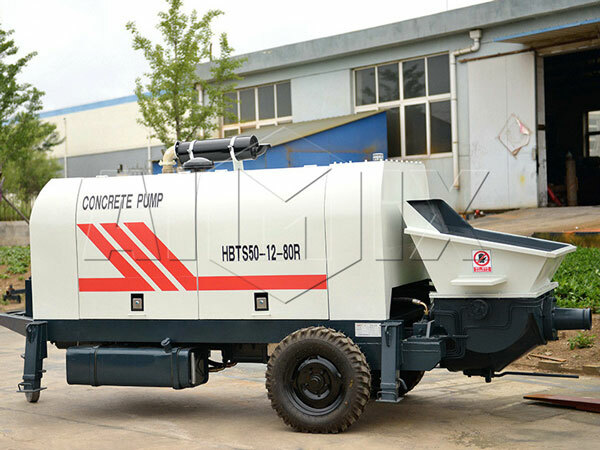 There are many customers to choose this type for its multiple function, nimble transportation, manpower saving… .As one of largest manufacturers of small concrete pumps for sale, we have many advantages if customers choose us. Concrete pump small consists of electric power concrete pump and small diesel concrete pump. Customers can choose according to actual working condition. If the work area is lack of electric power, it’s better for customers to choose diesel types of small concrete pump. 1. Small concrete pump sale adopts open hydraulic system with double pump and double road. The main road of pumping oil and S valve swing cylinders are two independent system of each other. This kind of design could make the system be simple and prolong component life. At the same time, it brings higher reliability, and is easy to carry through fault judgment and ruled out fault. 2. Small concrete pumps for sale have the function of reverse pump, which can eliminate the trouble of pipe blocking fault in time. And this function can stop machine running for a short time. 3. Small concrete pumps for sale are used advanced S – pipe distribution valve, which can compensate wear clearance automatically. And the pipes have good sealing performance. 4. It has adopted Wear – resistant alloy glasses plate and floating cutting ring that have very long service life. The maximum life of the eyeglass plate can reach over 30,000 square meters. 5. 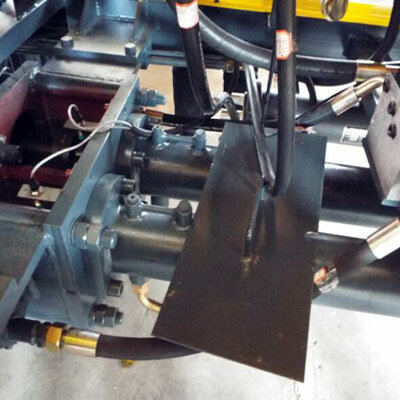 Automatic centralized lubrication system could ensure effective lubrication during machine operation. 6. It has the function of remote control so that more convenient when operating small portable concrete pump. 7. All parts and components adopt national standards and have good interchangeability. 8. 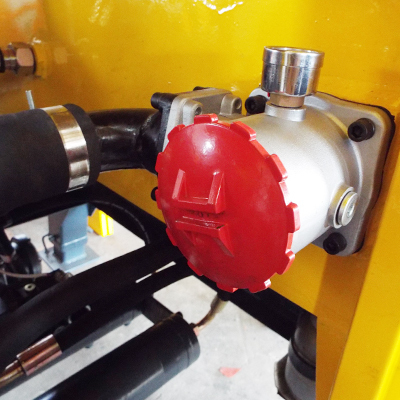 Cooling system with forced air cooling heat sink device ensures that the hydraulic system of working oil temperature control under 70 ℃, thus guarantee the host hydraulic system in normal working condition. It is obvious that different types and capacities have different small concrete pump price. What important thing is that we can supply the most cost-effective products. If you want to know the price of different small concrete pumps, you can contact us on the website by clicking the button get a quote or send us emails: market@concrete-mixer.net. 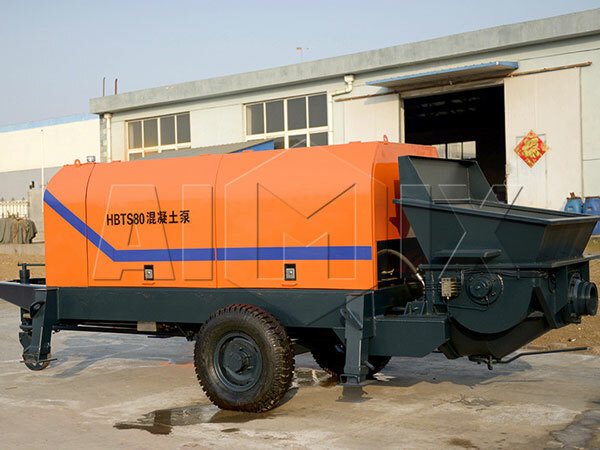 Small portable concrete pump includes mixing motor, pressure gage, hopper, oil tank, shell, mixing valve, main valve, lubricant pump, oil pump, heat sink, diesel engine, electric cabinet, high-pressure oil pipe, guide wheel, accumulator power switch, push machine and so on. We adopt the core components from famous brand all over the world in order to have stable and continuous working rate and long life span. As one of largest manufacturers of small concrete pump for sale, we have built deep relationship with customers. We have professional engineers and almost largest manufacturing factory in china. In the meantime, we aimix group distinguish from others for our precise products, quality service and favorable price. In years of production process, our small size concrete pump has won the majority of users’ praise and trust. Based on mature production technique, we provide lots of small concrete pump machine to fill demand of different construction works. Absorbing and digesting world advanced production technology, our small concrete pumps requires low investment as well as our small concrete pump also has quick and spontaneous returns. What are you waiting for to get such great equipment. Beside small concrete pump, we also have concrete mixer pump, trailer concrete pump, truck mounted concrete pump. You can contact us on the website such as small concrete pump price and capacity or how to build a small portable concrete pump etc, we will give you quick reply.